Whether you are looking to top up your existing collection of essential oils or you are just starting your journey with Aromatherapy, this set may be just what you are looking for. The Top 14 Singles Set by Plant Therapy is made with 100% pure, undiluted essential oils. This selection contains the 14 most popular essential oils purchased by Plant Therapy customers. Essential Oils provide a very wide array of benefits for your mental and physical health. If you are looking for oils to promote a healthy immune system, relieve headaches, uplift your mood or just to relax, this is the perfect set for you. You can use these oils individually or create your own blends. Plant Therapy states that their Essential Oils do not contain fillers, additives, bases or carriers. Oils are sold in dark amber glass bottles with euro style dropper cap (this dispenses one drop at a time). All Essential Oils from Plant Therapy come with an identification sticker on the cap. This is can be handy for people that store their oils in top loading cases. This set of oils are specifically selected using information gathered from customer purchases, i.e. these are the most popular oils that were purchased by real people. These oils come in an attractive wooden box. This product comes in a lovely wooden case, at times these cases have arrived to the customer in a less than perfect condition. Accidents happen. Simply contact Plant Therapy and their customer service will help you out. Some customers noted they did not care for some of the oils in their collection. When buying essential oils it is good to know both the oils common or casual name as well as its botanical or Latin name. The common name is the plants Genus and the botanical or Latin name will identify particular species of that plant. Each species of the oil is different, it may have different healing properties as well as its own unique aroma. Lavender is an example of this, there is more than one kind of lavender. The Latin name is usually located under the common name on the front of the bottle. Some customers felt that this product lacked information on how to use the oils. This might be the case if you are new to Aromatherapy. After looking into this concern, I learned that Plant Therapy has a website that contains information about how to use essential oils. The internet also has tons of information. This Plant Therapy Essential Oils set is a great choice for almost anyone. With 14 different oils to choose from, this set is sure to please and it comes in a nice wooden box. Having a place to store your oils from the light is a beneficial thing. Nice touch! Overall, I believe this product would be a wise choice. Buy one for yourself or give as a gift to someone. You can’t go wrong with this excellent deal. …you just can’t argue with the price! The set includes so many of the recommended essential oils for someone just getting started in Aromatherapy. It makes sense to buy this set instead of purchasing each oil individually. I bought this set to diffuse and to add with a carrier to use topically. These oils are great. I am happy with my order. Purchasing this set was a great way to get acquainted with Essential Oils. I used these oils to make scrubs and lotions at Christmas, everything turned out lovely! Great for beginners. These oils are good quality. I have used them in diffusers and on my skin with a carrier oil. It’s not often you find a great set of oils for such a reasonable price. At the time I am writing this article, there are 305 reviews of this product on Amazon and 89% of those reviews were positive. Clink on the following link to see product info and full customer review information. Click here to see product and all customer comments. Thank you very much for reading this review. I hope it was helpful. If you have any questions or comments I would sure love to hear from you. Use the comment boxes below. 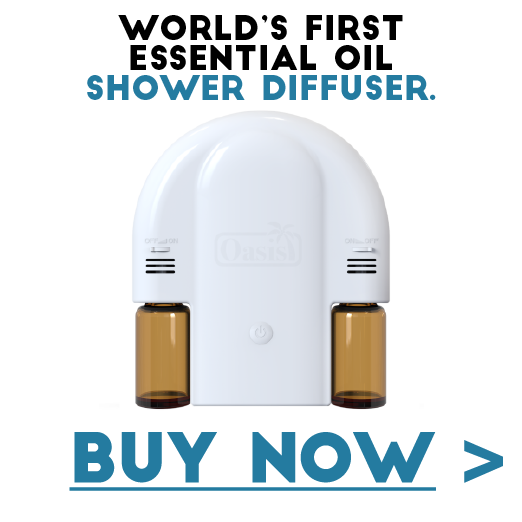 Thanks for the info, I am looking at purchasing some new oils and wasn’t sure about this product. I do like the idea of having all of my essential oils stored in a nice box, making it easy to find what I am looking for! This is an awesome deal. I wish I had this set when I was just starting out on my essential oil journey. I think Plant Therapy has made a great product here. Love the honest and thorough review on these essential oils!! I would love to get something like this in the future maybe after learning more about them! If so I will remember this brand! Thank you! I sure appreciate you stopping in. I hope you have a fantastic day!